Heating, Air Conditioning, and Evaporative Cooling sales and installations throughout the Denver Metro Area. We service residential, new home, commercial and industrial HVAC. 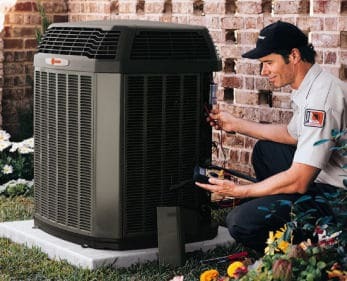 We provide maintenance and repairs on all brands of Heating and Cooling Equipment. The Cooler Company is Denver’s most trusted HVAC Contractor. We have been Servicing the Heating and Cooling needs of Denver’s Homes and Businesses since 1993. You can count on us to take care of any HVAC issue you may be having. Our N.A.T.E and EPA-certified seasoned professionals are committed to getting your job done right the first time, every time. Our team is on call 24-Hours a day for Emergency Service should you need it. Call us today. We will do our very best to earn your business. Considering an Evaporative Cooler? We can help. We are Denver’s leading Evaporative Cooler Installer. Did you know that installing an Evaporative Cooler can reduce your cooling costs by up to 70 percent? Call today for a FREE ESTIMATE. When you need a new Furnace, Air Conditioner, or Evaporative Cooler please consider allowing us to service you. Whether it’s an easy repair, complete installation of new or replacement equipment, or scheduled maintenance, our team centrally located in Denver can get to any location throughout the metro area quickly. You can count on us to take care of any HVAC issue you may be having.